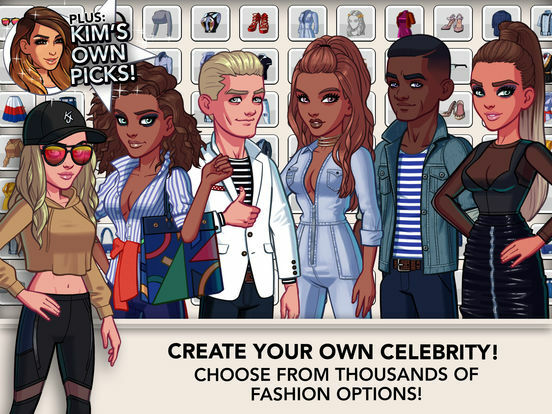 It's pretty easy to live the life of a fashion designer, boutique owner, or fashionista these days because you can do all that using fashion games on your iPhone. You can pretend to stock your own boutique's racks, work as a fashion model, or shop at luxury clothing stores. 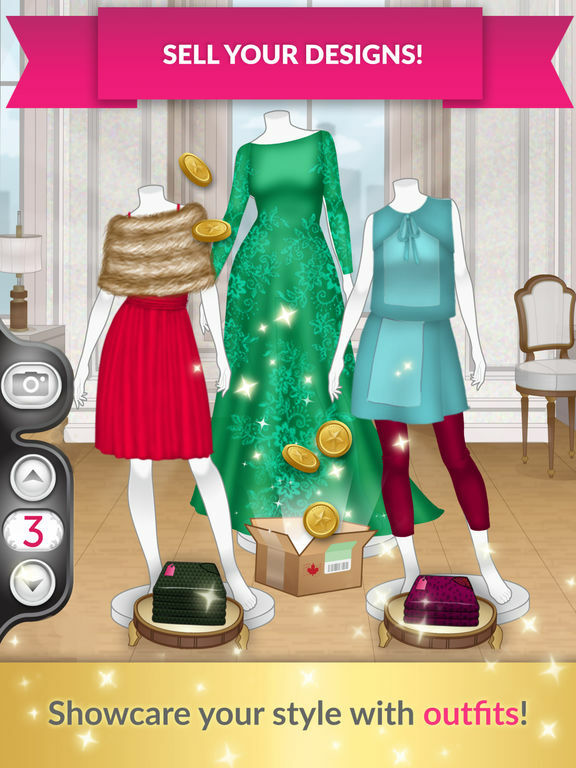 It can be hard to decide which ones to play, though, so here's our list of the best fashion games for iPhone. This app is hosted by the amazing Nina Dobrev and will allow you to show off how talented you are. You'll get to shop for great fashion items, put together different looks for different challenges, and vote on other players' looks. You can even win prizes for your looks that earn four stars or more. There are more than 175 brands to shop from, thousands of clothing pieces and accessory items, and different hair and makeup styles to use to create different looks. 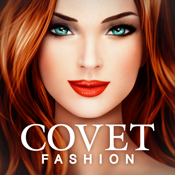 You can also shop for your fave Covet Fashion items in real life. You'll have your own fashion store with Fashion Design World. You have to create the clothes, put them on the racks, and try to make sales to your customers. Make your store the best! You will have to take responsibility and hire your sales staff, get ready for the fashion show, send gifts to your neighbors in order to establish good relationships, and more. You can earn coins and if you want to hurry things up you can buy gems and coins via in-app purchases. It's easy to play and you'll become addicted, fast! 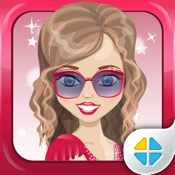 Style Me Girl - Free 3D Fashion Dressup is a fun game where you get to put together some amazing looks, dress up beautiful models, and be the stylist to the stars. There are thousands of 3D style pieces to choose from, in all styles from gothic to glam. Choose your pose and take photos to capture the looks. Decorate and accessorize your look with accessories, pets, apparel, and cosmetics. Try out all the fashion genres from casual to couture, and play offline when you don't have Internet. 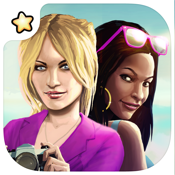 This is free to play but there are optional in-app purchases. 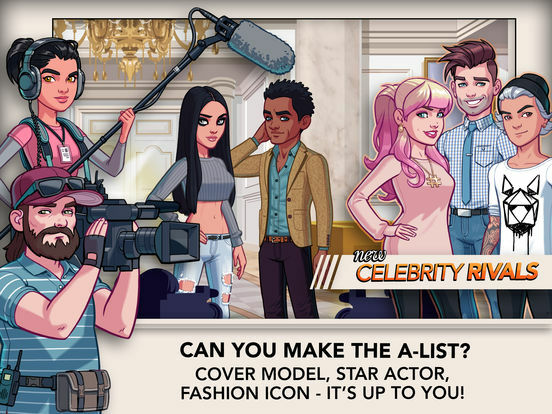 Create your own celebrity, rise to become famous and join Kim Kardashian on the red carpet in this game. There are hundreds of style options for you to create your own star. You must deal with other celebrities, fans, the media and more. 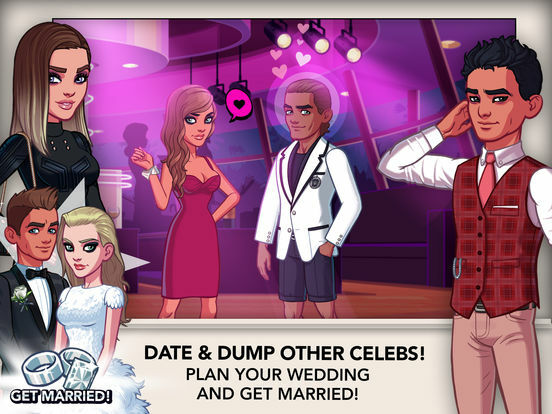 Take over the major cities where celebrities live, date and dump other celebrities, get your friends to join and more. 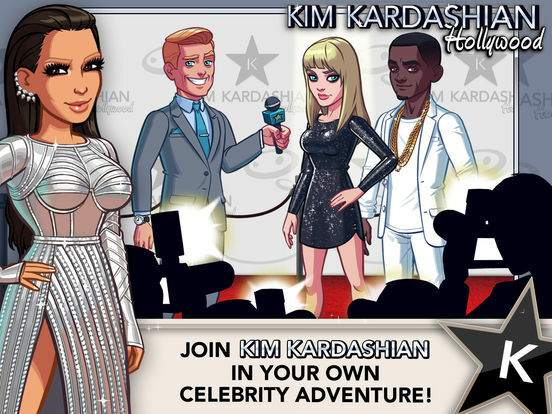 This game is perfect for those of you who love and dream about being a celebrity one day. There are in-app purchases for various game stacks and packs. If you want to be a fashion star, Fashion Star Boutique is one way to do it. You get to show off your creativity with this game that takes its inspiration from runways around the world. 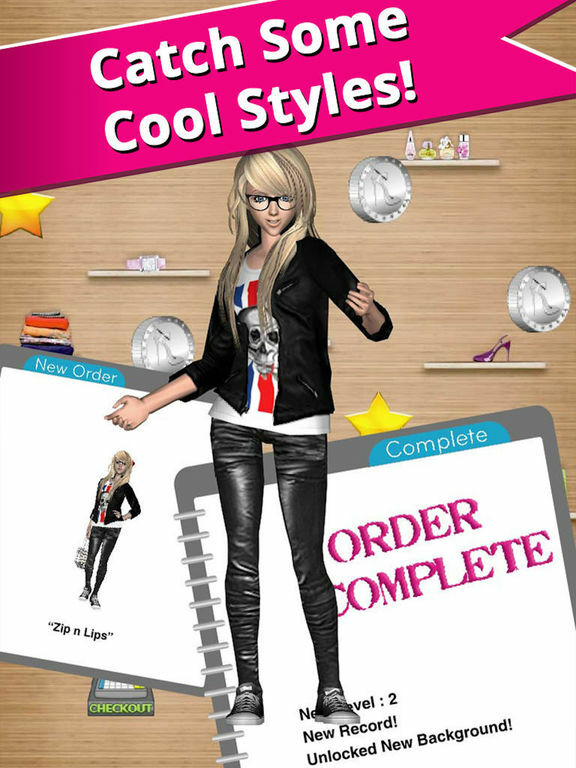 You get to design clothes, customize patterns, and run your own fashion shop. Fulfill your customers' desires as you learn the tricks of the trade. Show off your portfolio of designs in your own boutique, and see what top fashion designers really do. This app was just updated with the new Spring Collection! Check it out. Do you love fashion? 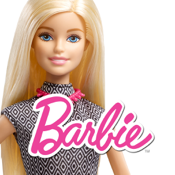 Do you love Barbies? Then this is the right app for you. You get to mix and match looks on Barbie Fashionistas in the ultimate closet and create your own designs in the design studio. You have tons of options with the colors, patterns, and graphics available, or you can purchase collections separately. Once you're done creating, try on all the designs in the Dressing Room. The ultimate closet is free, and you get to try hair styles, shoes, accessories, tops, and bottoms. You can even give them pets. Choose your favorite doll, make your clothing choices, and have fun! Run your own fashion house and be responsible for all the important decisions like design, tailoring, marketing, and selling your creations to all of you high-end customers. You have to come up with some amazing fashions, run the photo studio, design an entire collection, manage your boutique, look at friends' fashions, and vote for the top designer. Start by making your own MeDoll and get situated in the Stardoll online community for people who love fashion, shopping, decorating, making friends, and being creative. This is a free app to play but you can buy votes, design bucks, and more. 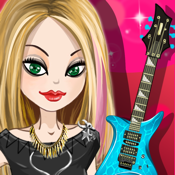 This app is a bit different than the rest because you get to dress up the character as a rockstar. Rock out and get ready to go on stage and show who's the coolest. Design your very own style and get out there! You have four choices of style: Punk, Goth, Rock, and Emo...which one will you choose? Use your finger and choose pants, hats, shirts, shoes, dresses, sunglasses, and guitars. Don't forget to take photos! This app has a similar feel to playing with paper dolls, but in a totally cooler way! Which one is your favorite style? Try them all. Fashion studio makes your dream come true if you ever wanted to be a fashion designer. You will have to create your own line of clothing with hats, jackets, tops, bottoms, dresses, shoes, and more, and dress up your models and send them out to fashion shows. You will be competing against other designers online so make your designs great! There are all kinds of packages to buy like Pop Icon Package, Lace Lovers and pure Glamour Pack so you're sure to find items to work with.